Where can you find high school football drama mixed with 53 years of daytime drama in Salem, USA? On an all-new episode of the TV Babble by TV Insider podcast! In this episode, cast members from NBC's Days of Our Lives talk up what's to come on the popular daytime sudser. 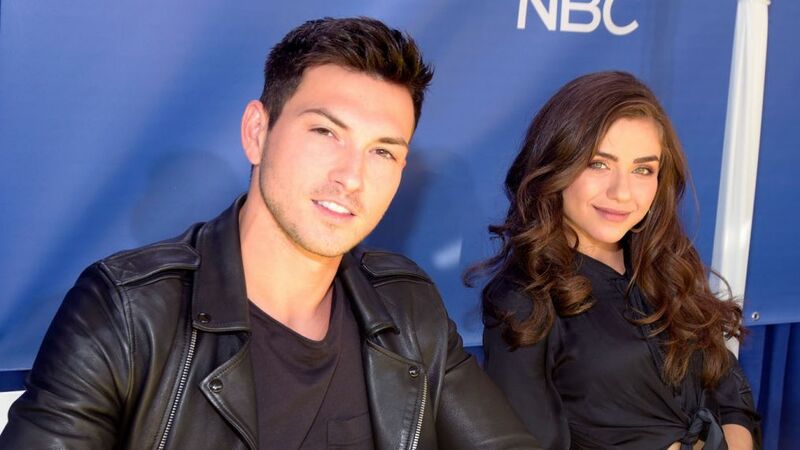 Featured are interview excerpts from the recent Day of Days fan event with stars Chandler Massey and Freddie Smith (Will and Sonny, aka WilSon), Lamon Archey and Sal Stowers (Eli and Lani, aka Elani) and that supercouple in the making, Robert Scott Wilson and Victoria Konefal (Ben and Ciara, aka Cin). Not sold on the chemistry between Ciara and Ben? Just watch the actors who play them in this interview from the 'Day of Days' event. First on the podcast episode, though, we dive into the drama over at The CW on their freshman drama, All American. Fans of the show (yours truly included!) are already worried about Coop (Bre-Z) as she navigates her way through her rough South Central neighborhood and is pulled deeper in the shady dealings of Shawn (Jay Reeves). In the podcast, rapper/actress Bre-Z, who we first saw on Empire as rapper Freda Gatz, talks to us about all that's happened to Coop in the short life of the new drama — coming out of the closet, getting tossed out of her house by her mother, and now, trying her best to survive without BFF Spencer James (Daniel Ezra), who is living in posh Beverly Hills and playing football for the high school team coached by Billy Baker (Taye Diggs). Plus, how did the actor/director/singer feel about directing actors like Alfre Woodard and Forest Whitaker? During the interview, Bre-Z also talked about the responsibility she feels in playing Coop for the LGBTQ community, what draws Coop and her girlfriend Patience (Chelsea Tavares), and whether we might see Coop rap on the show in the near future. Added bonus - in an exclusive clip from Wednesday's episode, Coop visits Shawn at his home to talk about the money he has stashed at Alvin and finds out more about Shawn than none of us knew. As Bre-Z says in the podcast interview, we may look at Shawn in a different way after this episode.